Contrary to MultiBootISOs which used grub to boot ISO files directly from USB, YUMI uses syslinux to boot extracted distributions stored on the USB device. And reverts to using grub to Boot Multiple ISO files from USB, if necessary. Aside from a few distributions, all files are stored within the Multiboot or YUMI folder (depending on version). That makes nicely organized Multiboot USB Drive which you can still use for other storage purposes. 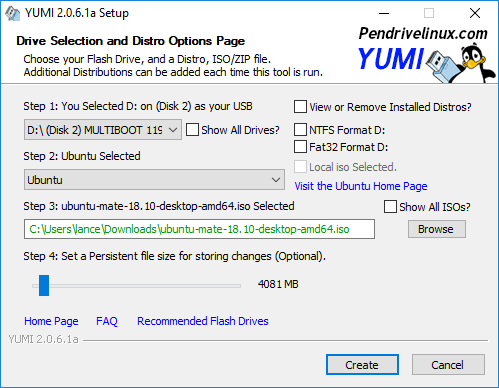 YUMI Multiboot USB Creator works much like Universal USB Installer, except it can be used to install more than one distribution to run from your USB. Distributions can also be uninstalled using the same tool! YUMI Multiboot USB Creator is an easy to use installer script created using NSIS. The purpose is to help automate the creation of a bootable USB Flash Drive. That can be used to boot multiple Linux based distributions (one at a time). The end result should be a bootable USB Flash drive. That will get you up and running with your chosen Live Distributions. All without having to do the research and perform the steps by hand. 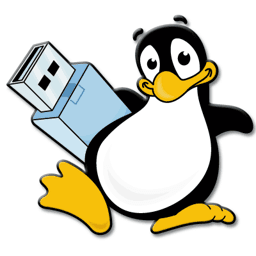 YUMI Multiboot USB Creator utilizes a Syslinux MBR to make the chosen drive bootable. You can extract Distributions using 7zip to the multiboot folder on the USB device. And a custom syslinux.cfg file along with distro independent configuration files are used to boot each distribution. Also, you can use Grub4DOS grub.exe to boot ISO files directly.